Snorkeling Trips for all the family! 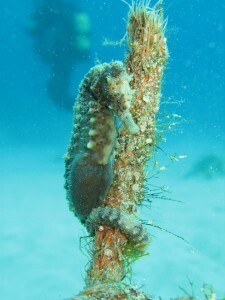 Put on a mask and snorkel and marvel at the amazing marine life and see a world beneath the waves in Cyprus. If you have never been snorkeling but have been to an aquarium or watched tropical places on TV then you are in for a real surprise… stunning colours are just so much brighter when you see fish in their natural habitat Almost anyone can snorkel! Snorkeling allows people of all ages and limited swimming abilities to see the wonderful marine life in the sea. Be inspired! Imagine floating gently over the reef looking at all the colourful fishes when you join us at Easy Divers on a Snorkeling Trip. No experience needed just a sense of adventure. The trip just last a few hours, so you will have the rest of the day to continue snorkeling after the trip. this could give you the temptation to try Discover Scuba after snorkeling? You don’t need to be a great swimmer, just reasonably comfortable in the water and you will be ready for a great snorkeling adventure. The whole family will have a great fun with lots of adventure . We will even take photos so you can post them on facebook and you will be able to tell all your friends afterwards what great fun you had snorkeling.